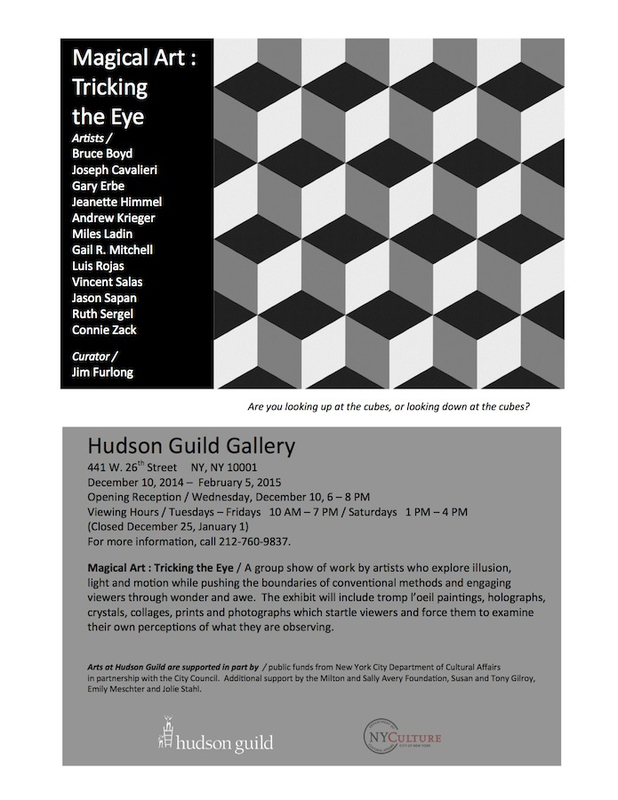 A group show of work by artists who explore illusion, light and motion while pushing the boundaries of conventional methods and engaging viewers through wonder and awe. 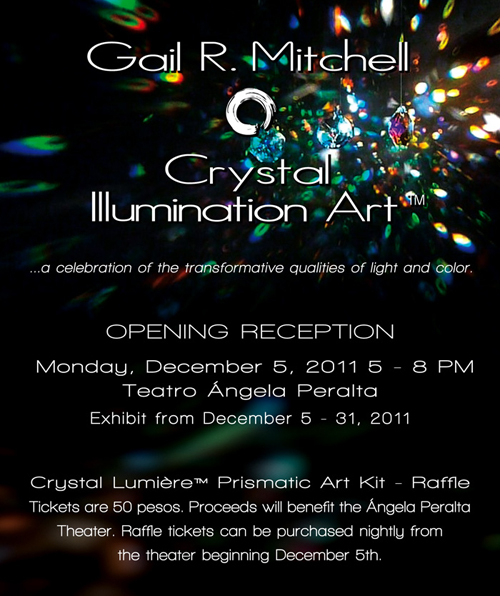 The exhibit will include tromp l’oeil paintings, holographs, crystals, collages, prints and photographs which startle viewers and force them to examine their own perceptions of what they are observing. For more information, call 212-760-9837. November 1- 4 - La Calaca Festival - The Gazebo in Juarez Park - San Miguel de Allende, GTO, Mx. Arte en el parque is a four-day initiative that aims to build community, establish connection, and foster cultural integration through participatory art. Arte en el parque is geared toward the San Miguel youth community and seeks to promote creativity and self-expression through art and celebration. A diverse group of local and international artists will transform Parque Juarez into a playground of large-scale installations. Many of these projects will require the participation of members of the community to create its elements. Artists are encouraged to embrace the themes of Dia de Muertos and explore the cycle of death and rebirth in their work. December 5 - 31st - Teatro Angela Peralta - San Miguel de Allende, GTO, Mx. November 2011 - January 6, 2012 - Exhibit - Actinver Casa de Bolsa - Lloyds Bank of London - San Miguel de Allende, GTO, Mx. August 2011 - BoBo Design - Cuna de Allende - San Miguel de Allende, GTO, Mx. July 30th and August 1, 2011 - Hotel Matilda - Private Event - International Film Festival -San Miguel de Allende,GTO, Mx. Feb 6th - March 6th 2010 - James Harvey Gallery - San Miguel de Allende, GTO, Mx.